Though this band is currently based in the District of Columbia, lead singer, Mark Charles Heidinger, has made his way through Lexington-based bands – specifically as frontman of The Apparitions with Robby Cosenza. 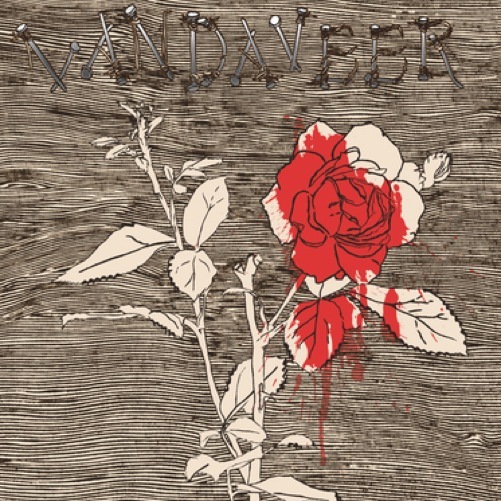 Because of this, Vandaveer has a pretty large following in this town, but somehow I failed to have heard of them until very recently. It’s a shame too, because their newest album Oh, Willie, Please… is excellent. The album is made up entirely of their renditions of eleven murder ballads – all of them dark and chilling, but making their impressions through equal parts uptempo tracks to those that are just downright slinky and spooky. The title of the album “Oh, Willie,” is heard referenced several times throughout the album, and lends it a sense of cohesion; the album is made up of made up of eleven stories – track by track – but listens almost like a concept album with a greater arcing storyline. What that bigger story might be is tough to tell, though – it tends to make me want to think of the tales of a small town, and the instances of anguish and revenge it has seen. The sound of the album is great too, being recorded in perhaps Lexington’s best known studio at Shangri-La. The layers of instruments are added with perfect pacing and the building of intensity on tracks like “The Railroad Boy” is created masterfully. Heidinger’s voice is paired perfectly with the rich tone of Rose Guerin’s, but with no knowledge about her, I’d have sworn that he had talked Emmylou Harris into recording with him. For all the pop music today that mistakes itself for folk music, Vandaveer is treating the genre the way it ought to be treated – this album is crisp, and for all dark, bleak, and hard-to-stomach subjects, it’s surprisingly a beautiful and refreshing listen. Tracks I Liked – The Banks of the Ohio!, Pretty Polly! !, The Railroad Boy!! !, Mary of the Wild Moor!, Down in the Willow Garden! !, The Drunkard’s Doom!! !, Poor Edward!